It's finally Spring and time to get out and create some photography magic beyond the four walls of my home studio. Being able to get out, explore and capture images of people, places, and things is what excites many photographers. But the business side of creating images can often get in the way. Ask any creative, whether they're a photographer, interior designer, graphic designer, multi-media artist or art director - finding the balance between creating the work we love and managing the responsibilities of running a business can be challenging. So how do you continue to feed your creative side while sustaining and growing your business? Here are three ways to maintain your creativity while managing the demands of a growing business. Eyes of London #1 and #2 were images captured during a business trip to Europe. The image on the right was submitted in a gallery exhibit, winning 2nd place. Working outside your client engagements is a smart way to test new innovative ideas and strategies in a safe environment. There are tons of ways you can explore different concepts and ideas while still providing impact. Many non-profits and community organizations are looking for photographers, art directors, marketing strategist and graphic designers to help them expand their organization's brand and awareness. It is an excellent chance for you to explore new styles and techniques while contributing by giving your time and talent to a good cause. If you're not sure where to get started, here are few suggestions for you. Catchafire connects professionals with passionate, pro bono professionals looking to donate their skills through 1-hour phone calls and/or fully-fledged projects. The Chamber of Commerce typically keeps a list of non-profit organizations in your area who seek professional volunteers to help them with their marketing and branding needs. And the best option is to tap into your own professional and personal network. I'm sure you can find a friend or colleague who can recommend an organization that could take advance of your skills and expertise. Sometimes the best muse for creatives is interacting with like minds and around us. It helps us separate from the business side of what we do and allows us to sit in an environment that encourages, inspires, drives and challenges us. I found that encouragement in local artist organizations within my community. As a member of the Visual Art Exchange, I have the opportunity to participate in gallery exhibits, have my work critiqued and meet with fellow artists in groups where we can share and learn from each other. Having an outlet just to create and showcase work gives you an opportunity to express yourself without any deadlines, client feedback or prejudices. Finding other creatives who want to share and learn from each other builds strong skills and keeps you competitive. Seek out your local artist community and look for opportunities to display your work in galleries, through Art Councils or even with commissions city projects. You'll get a chance to see your vision come to life on walls across the city while sharing your creative work in new places and with new people. Every creative mind needs a break now and then. When you feel your creative mojo starting to wane, take a break from it all is a great idea. It gives you a chance to rest and recharge before re-engaging with clients, and colleagues. It also gives you time to refocus your energy and let the creative side of your brain rest. Being able to step away from the day-to-day allows us to put ourselves back on track to more innovative thinking. So the next time you feel the stress of being a creative and minding the business, take some for yourself and find that outlet that gives you a chance balance the challenges of managing the work life with the desire to sharpen your creative chops. It's amazing how time flies and how fast children grow up. I started photographing the Karkouki family several year's ago. But I wasn't until this session that I realized how each image captures over the years told a story of their growth and maturity. No longer little boys, they are growing into young men - smart, creative, energetic and the oldest much taller than me. On this rare day in December, the weather warmer than it had been in a while. We decided to take advantage of the sunny day and shoot at the North Carolina Museum of Art. The image above sums up just how beautiful it was to photograph this family again and to have a chance at documenting the boys, growing and become their own unique selves. 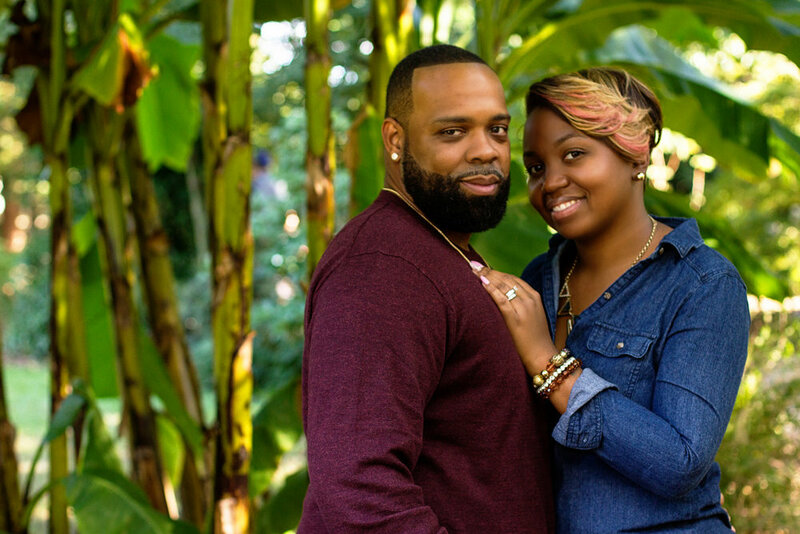 On a sunny Saturday afternoon I caught up with the Brooks' family for their shoot on the grounds of the beautiful J.C. Raulston Arboretum in Raleigh. The weather was wonderful has we moved around the garden taking full advantage of the sunlight and the families coordination of denim and Burgundy. 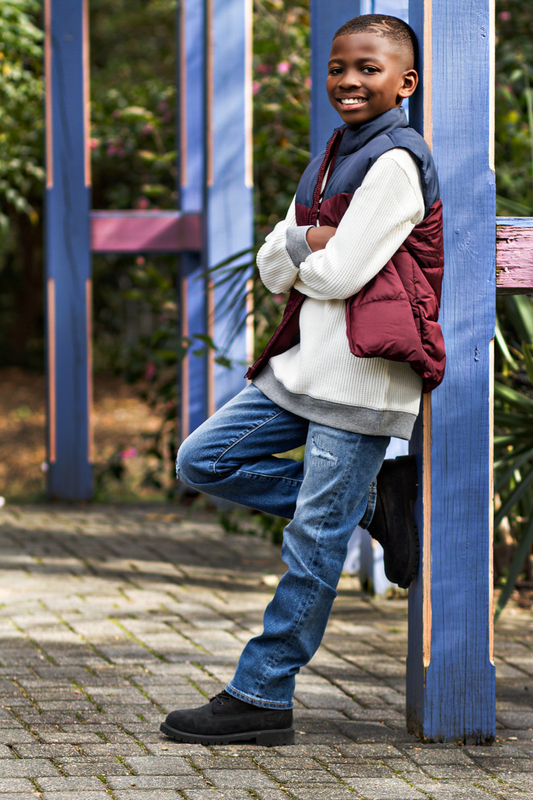 Photographing children is the most enjoyable part of what I do and the Brooks' children came with their A game intact. They were picture perfect and a great models as they posed so effortlessly for the camera. 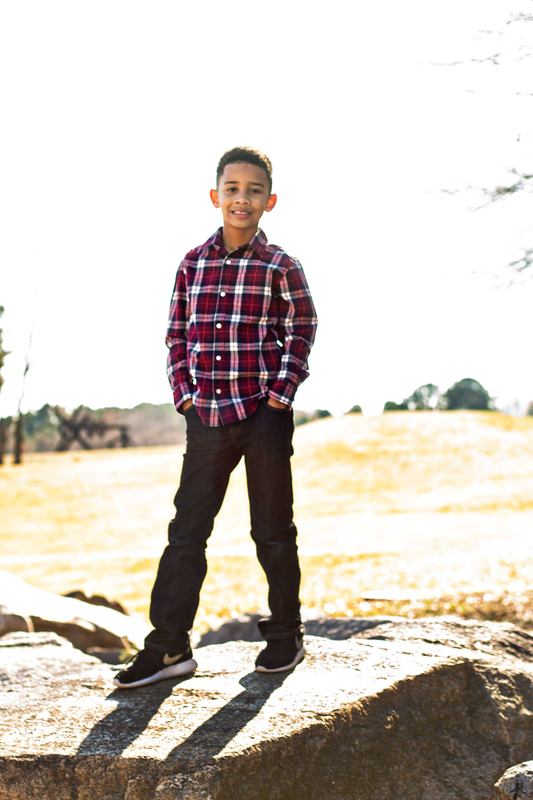 When I began my career in photography much of time was spent photographing families - and more specifically children. This shoot reminded me of why capturing moments like this is so important. A portrait can tell many stories. For the Brooks' it's a story of love, growth and timeless memories. 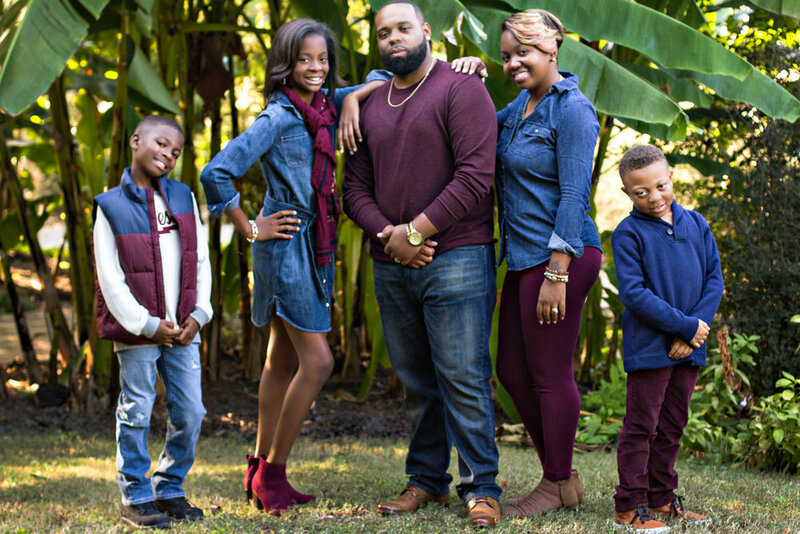 View more images from the Brooks' family's shoot below. 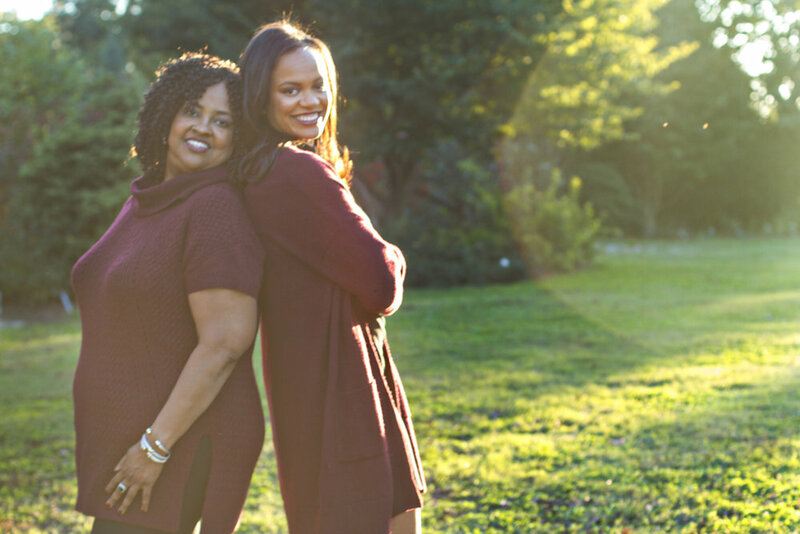 There's nothing more beautiful than a Mother- Daughter shoot. And these two ladies, dressed in their Burgundy and Black were just stunning. I had the privilege of photographing Rachel for her senior portraits several years ago, and her mom, Robin is a sorority sister and good friend. 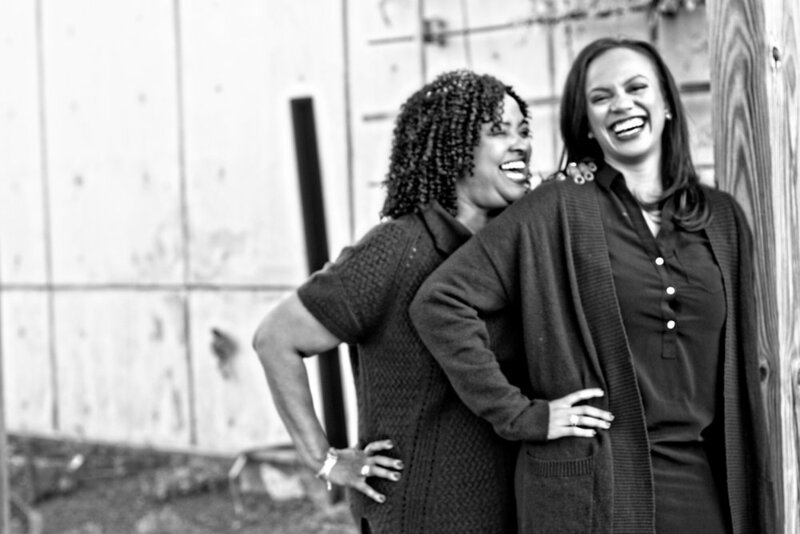 So when Robin decided to update their portraits, I was more than happy to photograph these two lovely ladies. 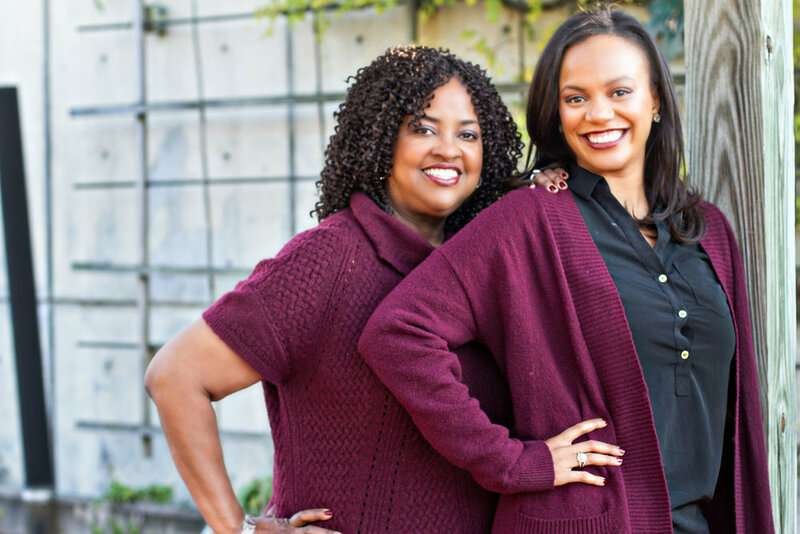 Take a moment to view the gorgeous outtakes from their Mother-Daughter shoot. They really look amazingly wonderful. Take a sweet ray of sunshine and a fun loving gent - put them together and you've got magic. But add into the mix, a great Fall day in the beauty City of Oak, you have photography moments that last a lifetime. That's what happened when I had the chance to photograph the Strickland's. 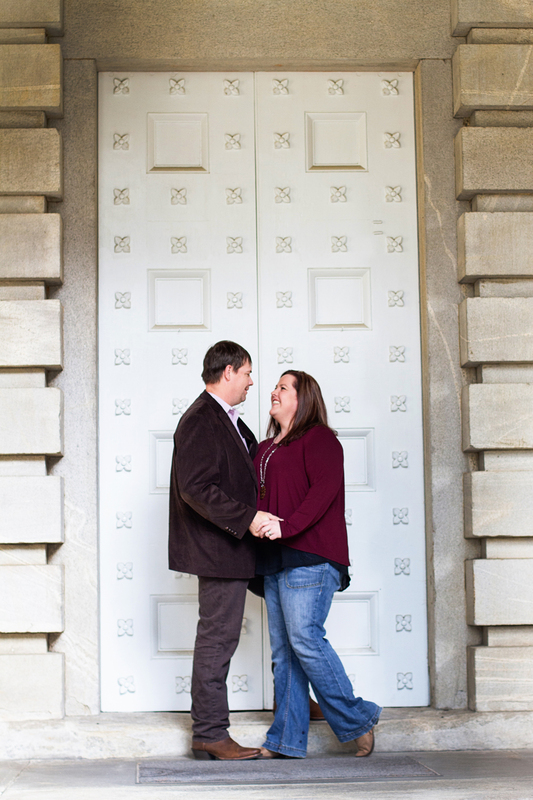 Selecting the North Carolina State Capitol Building as our backdrop, we took advantage of each and every piece of real estate as we captured this couple, in love, and happy to show it. As most men will tell you, they hate having their photography taken. Drew was no different, But after seeing the finished product, I think I may converted him over to a part-time model. I've worked with Anne on editorial shoots and I always enjoy getting her in front of my camera. Her beauty is effortless and her smile, amazing. View more images from the Strickland session below. It's our first official day in Kenya and it has been great. We had a chance to visit the Sulmac Primary School that our team has been working with for several years. And what a great surprise to have the children come out to great us. I'm excited to see how God uses me during this trip. You see them fly by like the flash of a camera or the quick buzz of a car. They love to test out new tricks, jump from the highest elevation or just cruise down the street alongside the city traffic. Their skateboarding and they love bending four wheels and an elongated piece of wood to their will. On this day in downtown Raleigh, I had a chance to capture a few of these talented boarders as they took to the streets of the Capitol Square; Fayetteville Street Mall to Edenton Street on with all the jumps, tricks and high flying skills in their bag. They rode, cruised - and soared. After a much need break away from the camera. I'm back with more energy, excitement and ideas. Sometimes finding your creative fix again means taking some time away from it all to rethink, refocus and re-engage with those reason why you followed your dream in the first place. And I did just that - I took some time for me. That meant letting my mind explore my other creative interest and giving my photographic eye a break. It feel so good to be back with a refreshed brand and a new website. I welcome you all along for a wonderful ride. I can't wait to see you, new and old clients, in front of my camera. We're going to have some fun.